“[D]ata and technology can be used to chart a more scientific (and measurable) approach to development. The dashboard we are working on here in PNG will help highlight where development activities businesses are engaging in and where. In September 2017, SocialCops visited Papua New Guinea as part of our work with the United Nations Development Programme (UNDP). We’re rolling out our platform to build a dashboard that will help businesses track their contributions to Papua New Guinea’s development and progress toward the Sustainable Development Goals (SDGs). At the end of the trip, our team caught up with UNDP to share some of our observations and thoughts on this exciting project. Read the full interview here. 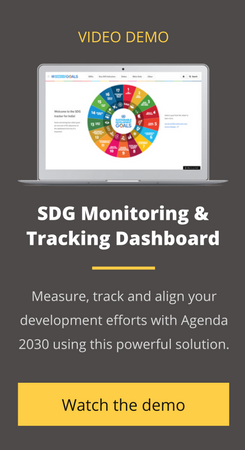 Learn more about the UN Sustainable Development Goals (SDG) Tracker Dashboard developed by SocialCops in partnership with United Nations and Government of India in this video demo.